Performers include: Nick Lachey (host). 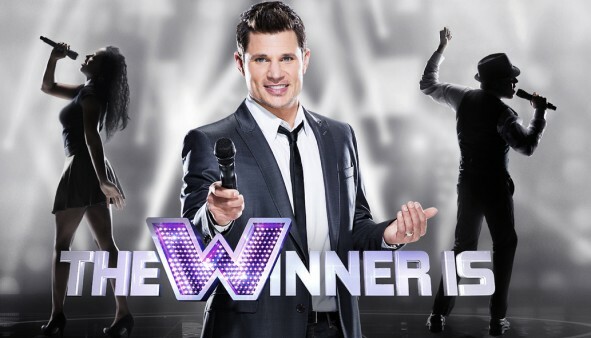 Each episode of this singing competition/game show features six acts (made up of ordinary people) as they go head-to-head with others and sing for a shot at a million-dollar grand prize. The aim of the game is simple: contestants must believe in their own performance, edge out their competition, and avoid cash temptations to move forward. There are three rounds in each installment. In the first round, the contestants are offered $10,000 to leave the game, $25,000 in round two, and then $50,000 in round three. Resisting these offers and winning over the audience is the only way to win a spot in the finale — where the offers rise dramatically and lead two lucky acts to a final showdown worth $1,000,000. After each head-to-head matchup, a jury of 101 music lovers vote on who they feel gave the better performance in the singing duel. The voter tallies are revealed on stage, but those results are not immediately revealed. This is where the negotiations begin. The contestants only have a short amount of time to decide whether to take the cash or risk it all to stay in the game and be one step closer to the $1,000,000 grand prize. If they feel they have been outperformed, they might accept the cash offer and leave the game. But if they have the guts, they bet on themselves and stay in the game. Nurse Katie Ohh won the top prize in the finale for her performance of “The Climb.” Teacher Sharde Bivans performed “It’s a Man’s Man’s Man’s World” and was the runner up. First aired: August 8, 2013. What do you think? Do you like The Winner Is TV series? Do you think it should have been cancelled or renewed for a second season? I loved this show and was excited to watch each episode. I hope it will be back on in the future. Please do not cancel the show. I submitted my videos and I am hoping to become a contestant next season. It’s an exciting show. I think return the show it is great and I want to be a contsteant I have been singing for over 40 years.